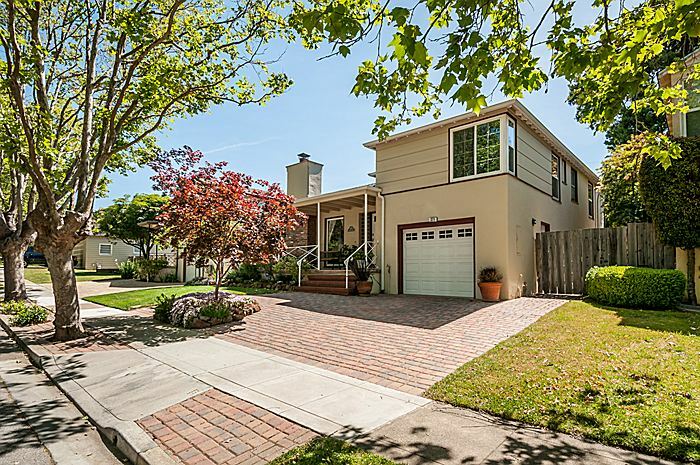 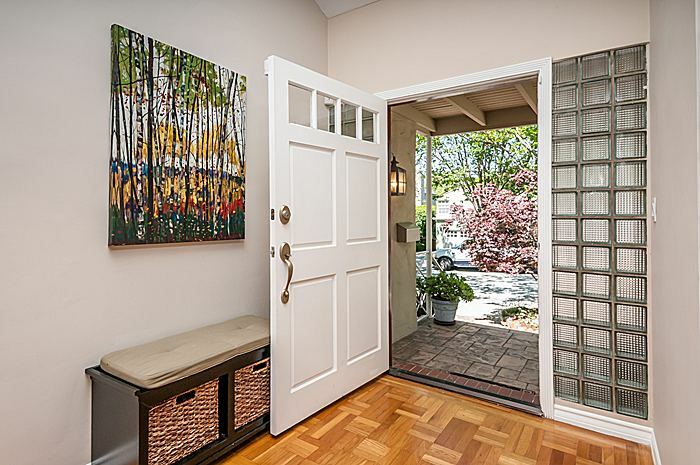 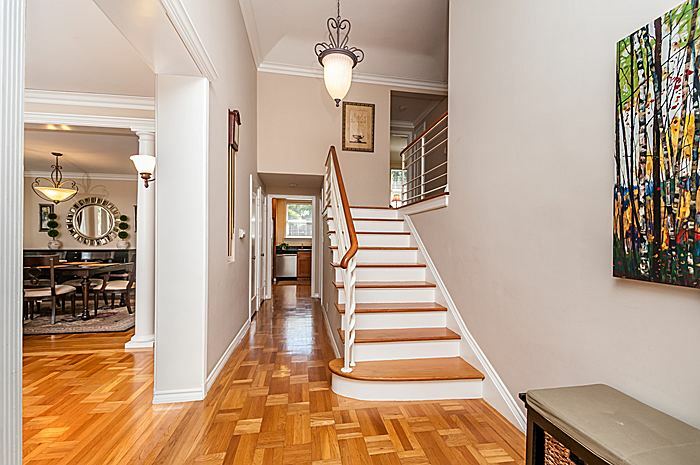 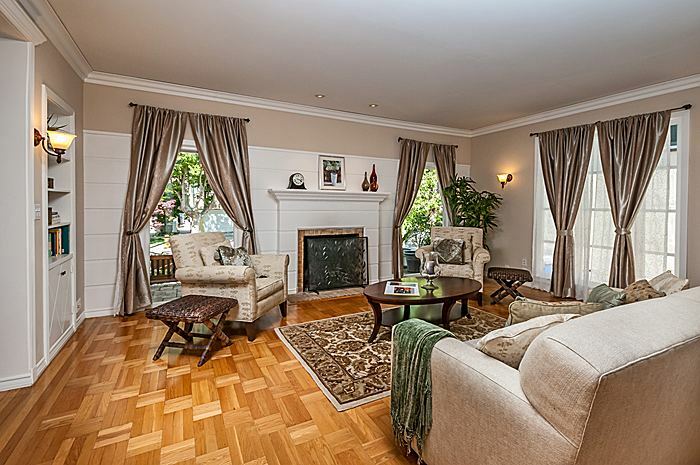 Conveniently located near downtown Millbrae, this Contemporary, remodeled split-level home features an open floor plan with an exquisite backyard ideal for any couple or small family. 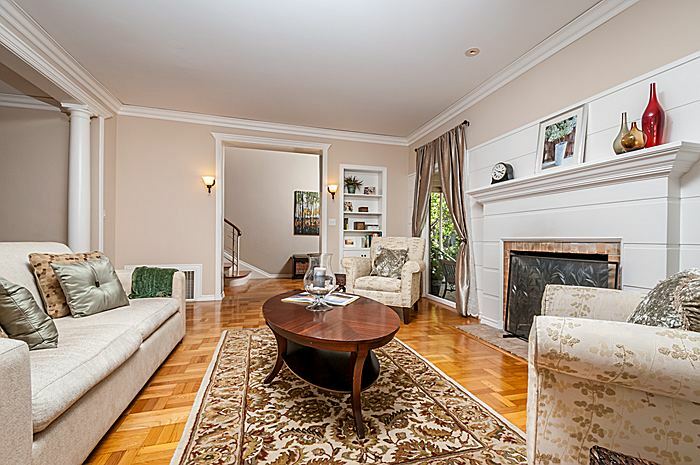 Built in 1937 the 2 bedroom 1.5 bath sits on 5,500 sq. 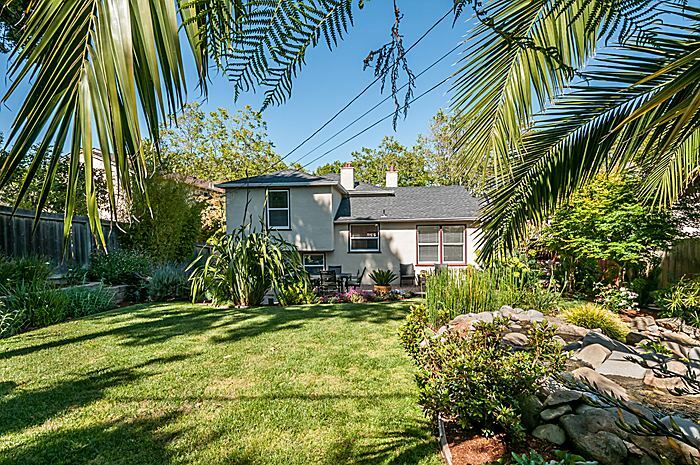 ft. of skillfully manicured land. 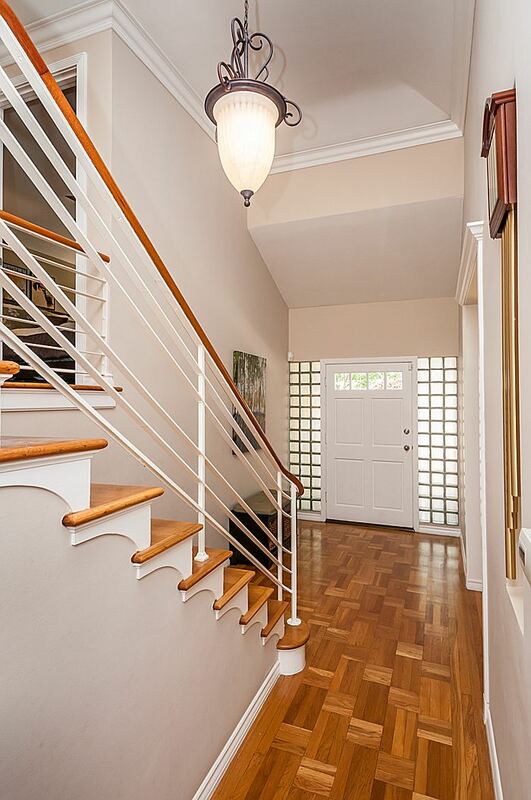 The spacious entry elegantly opens up to high ceilings and a hardwood hallway, which leads to formal living and dining rooms alongside the updated kitchen. 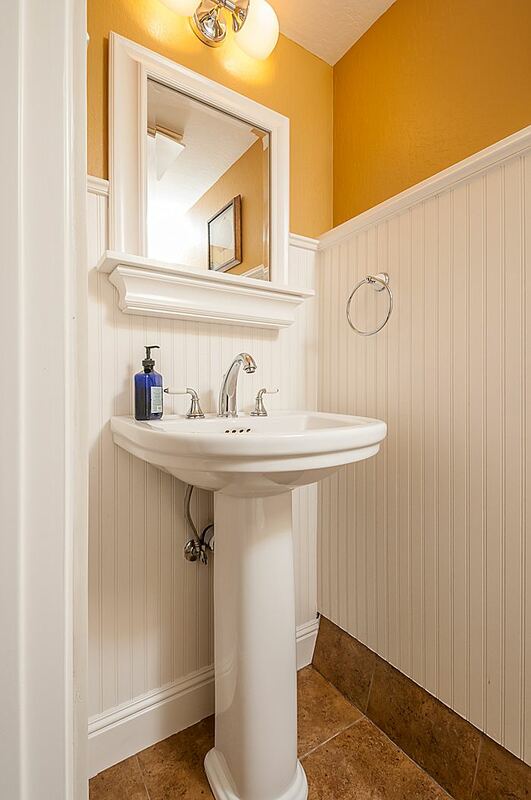 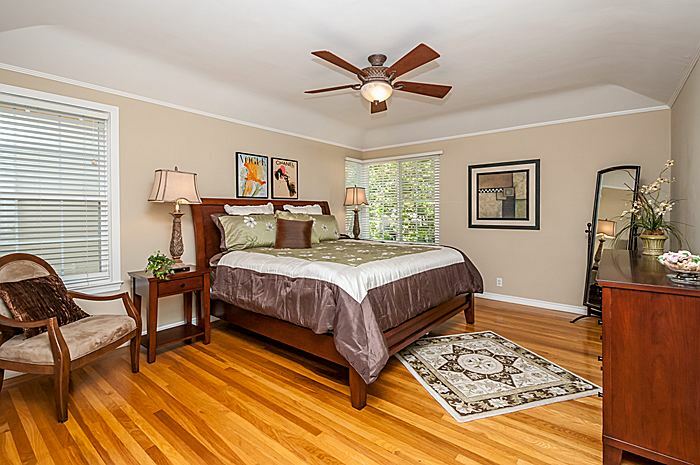 Walk up the main staircase to the roomy master and additional bedroom separated by a shared, remodeled bath. 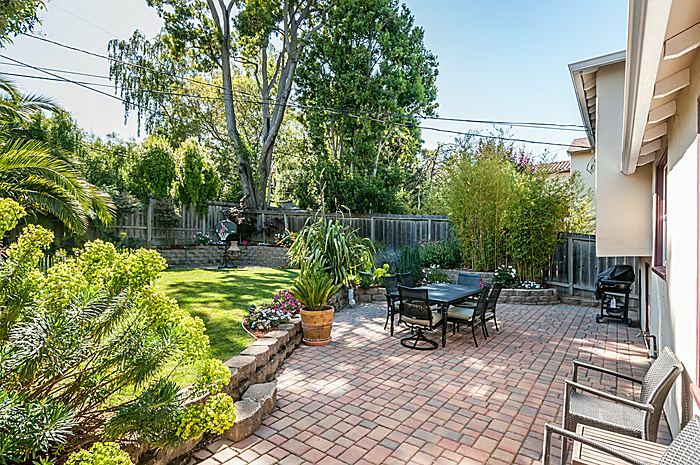 The tree-lined backyard features a stone-paved terrace and landscaped beds accented by a soothing, built-in brook made for ultimate relaxation. 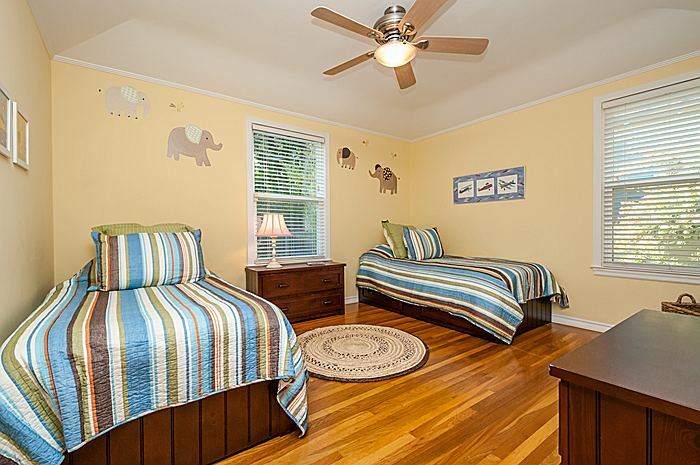 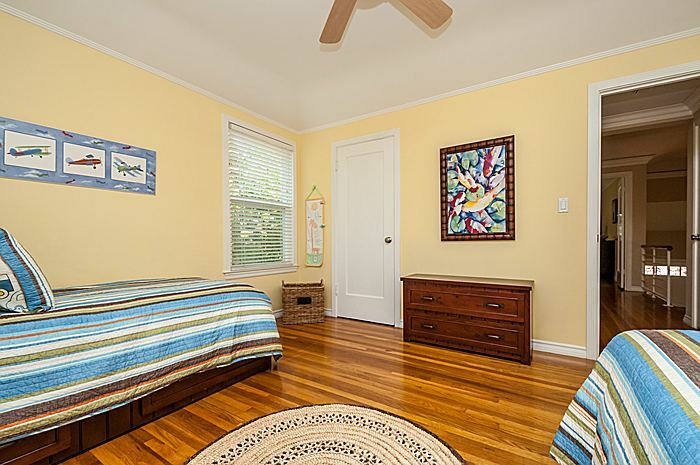 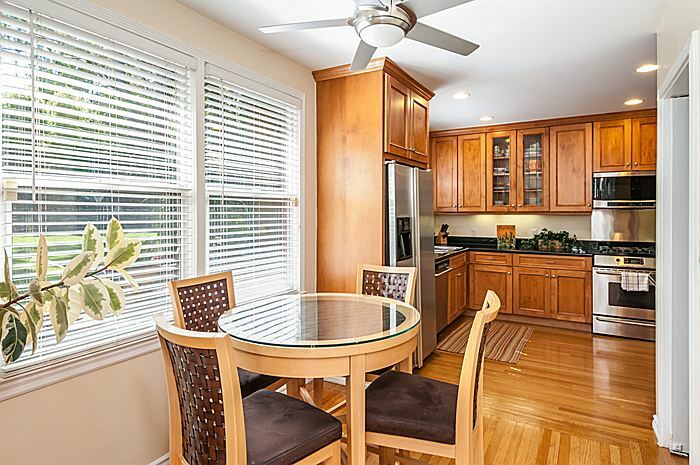 Additional highlights include hardwood floors throughout, with a ground-level family/laundry room. 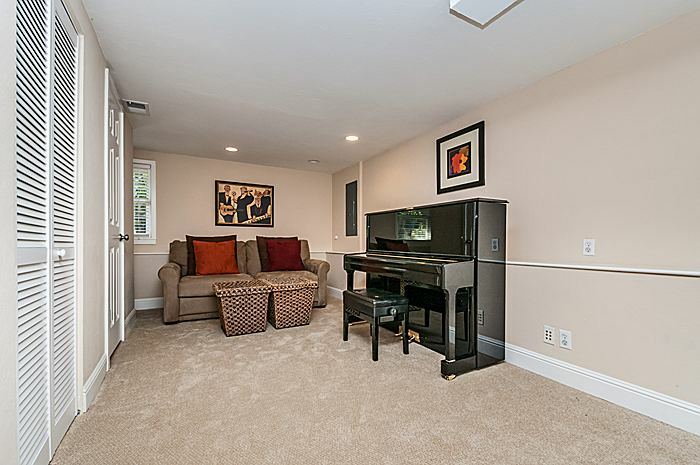 This transitional space features its own ½ bath and recessed lighting with immediate access to the 1-car garage. 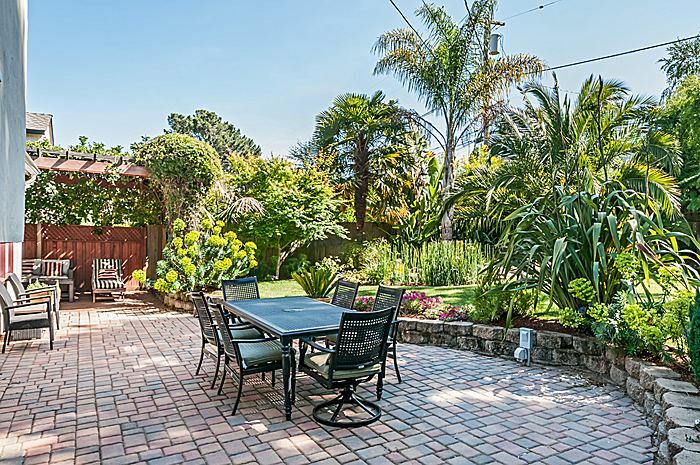 Nestled in close proximity to downtown Millbrae, this home is surrounded by many local highlights, including: Taylor Middle School, Peter Loftus Park, the library, farmers’ market, and a diverse restaurant scene. 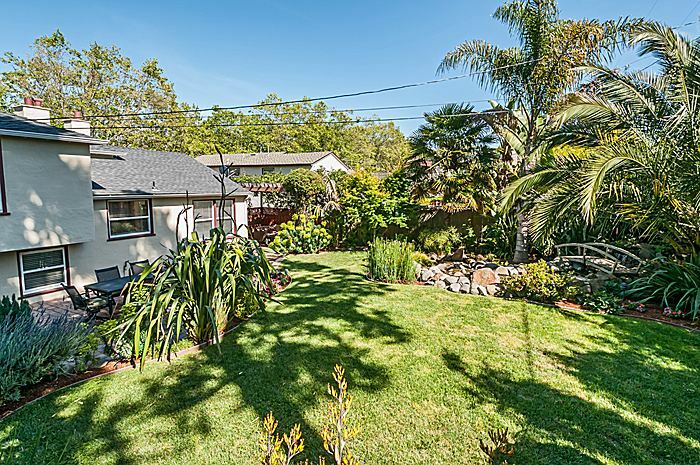 -The home’s front yard hosts an attractive, water-wise garden and shaded porch, leading to the formal, split-level entry. 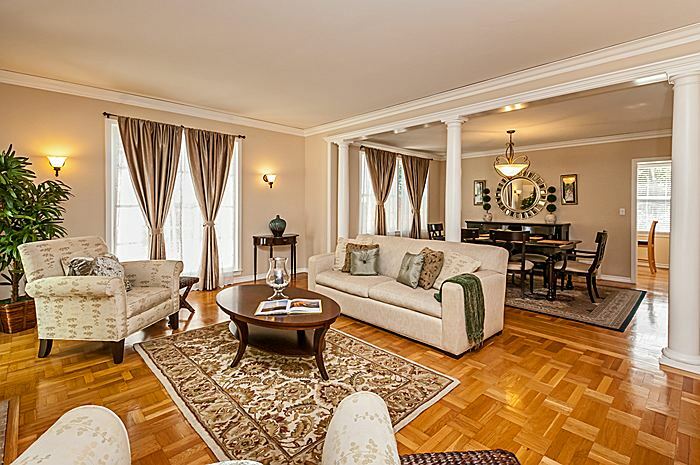 -The living room features a wood-burning fireplace and picture-framed windows with crown moldings and traditional pillars stylishly accenting the space. 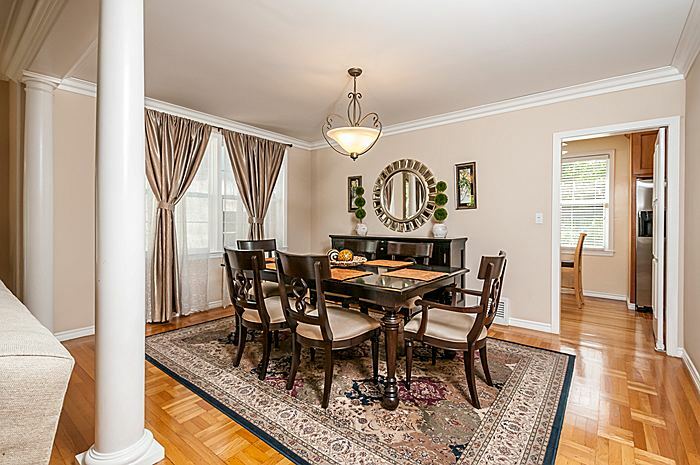 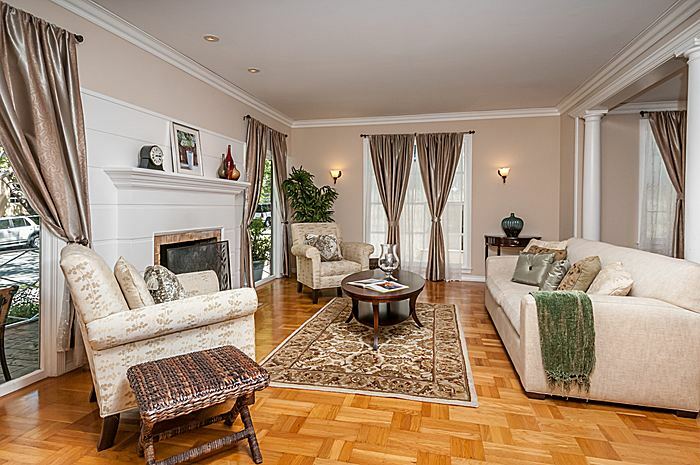 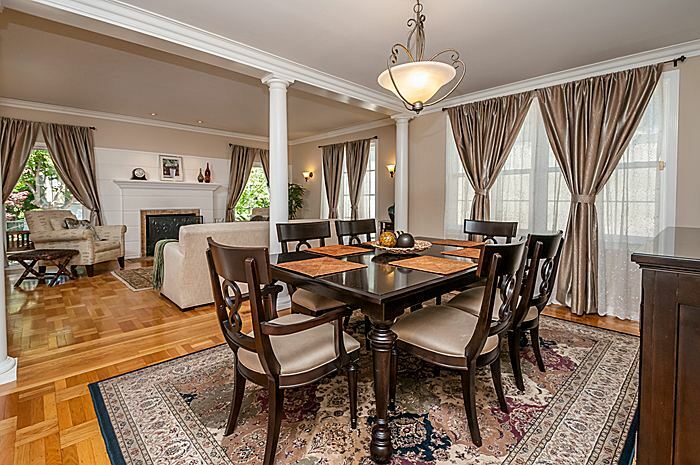 -The formal dining room contains ample space for a china cabinet, hutch, and art hangings; opens up to living room. 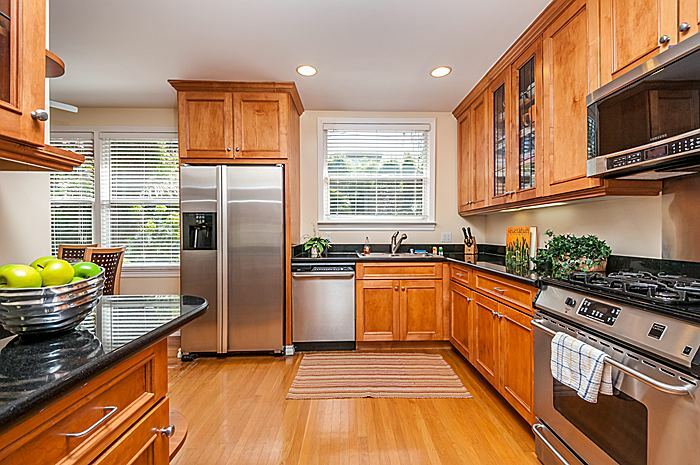 -The remodeled kitchen features black, granite countertops, wooden cabinetry and built-in shelving with casual dining quarters, looking out to the lush backyard. 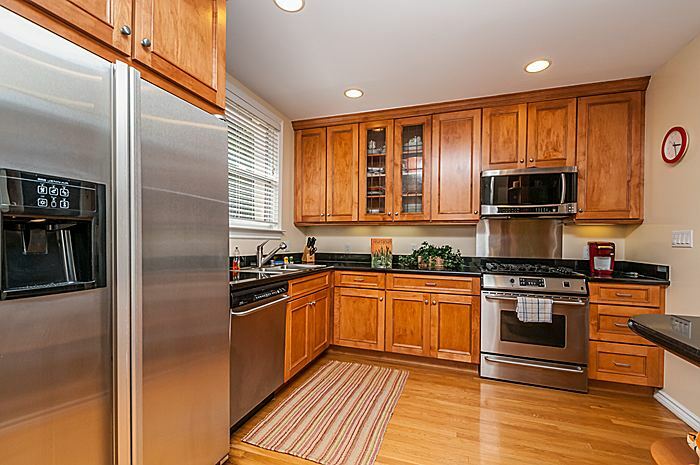 -Stainless steel appliances include: Frigidaire dishwasher; Jenn-Air dual door dishwasher; Frigidaire self-cleaning, convection oven; and a Samsung built-in microwave perched above the gas stove. 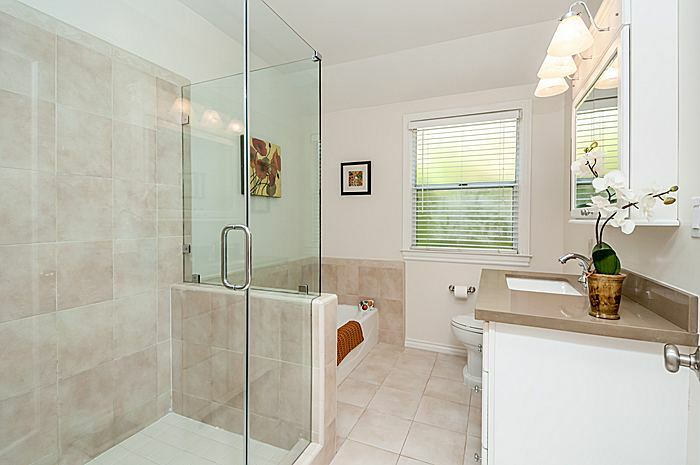 - The spacious, master features picture-framed windows, facing the front and side yards; master closet includes bi-fold doors with built-in shelving ideal for organizing wardrobes. 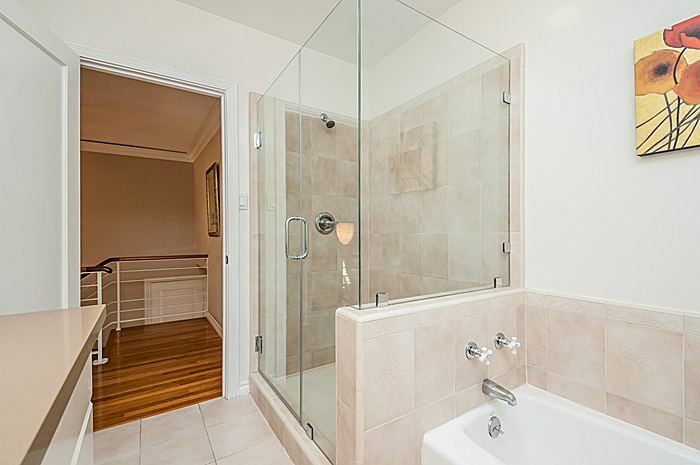 -The remodeled full bathroom contains a separate tub, frameless glass walk-in shower, and vanity with under-sink cabinetry. 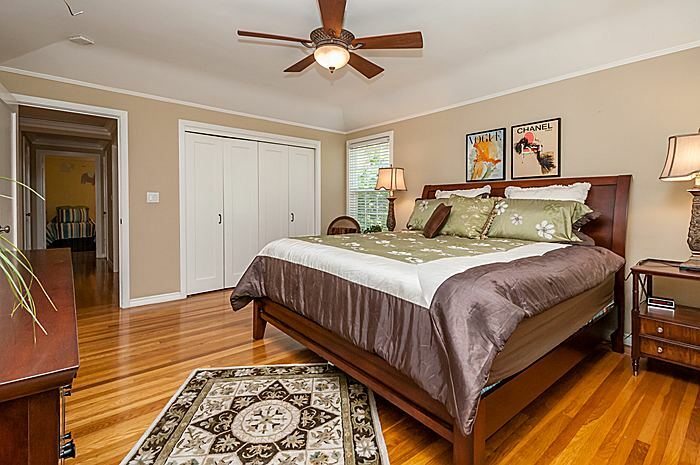 -The home’s second bedroom hosts a sizeable closet and a series of windows, overlooking the lush, rear garden. 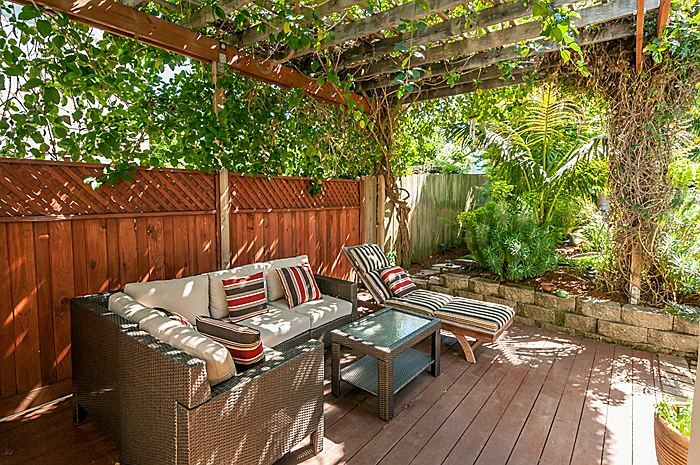 -The south-facing backyard is ideal for nature-lovers and large-party entertaining. 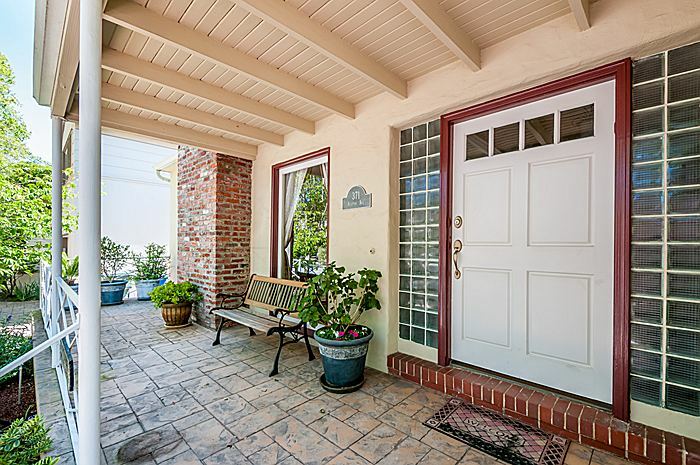 Its pergola-covered patio offers natural shade with convenient access to the kitchen and a vast, stone-covered terrace for outdoor dining. 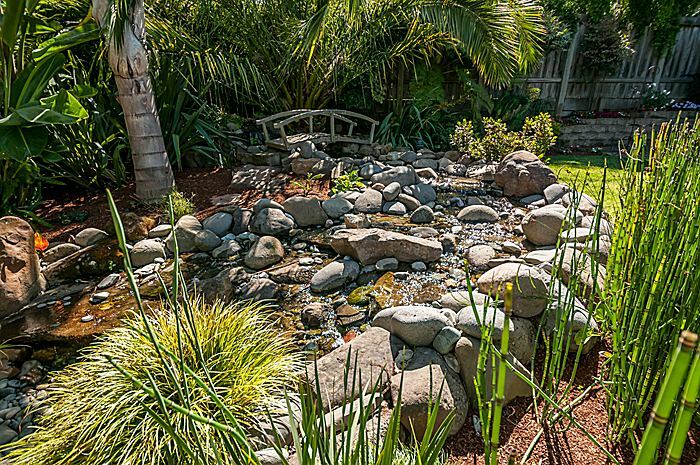 -The yard’s spacious lawn sits amidst landscaped garden beds with a built-in waterfall feature, offering outdoor tranquility from sunrise to sunset. 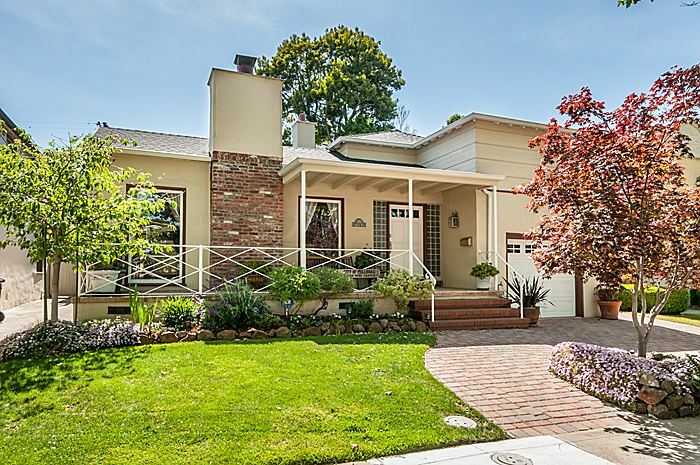 -Nearby by schools include: Taylor Middle School, St. Dunstan Catholic School, along with Mills and Capuchino High Schools. 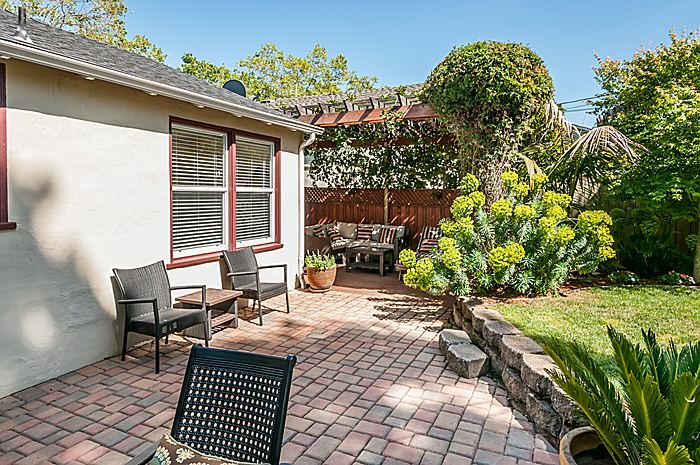 -Conveniently located near Millbrae’s community center, library, and farmers’ market, along with Peter Loftus Park, and the town’s restaurant and shopping scene.